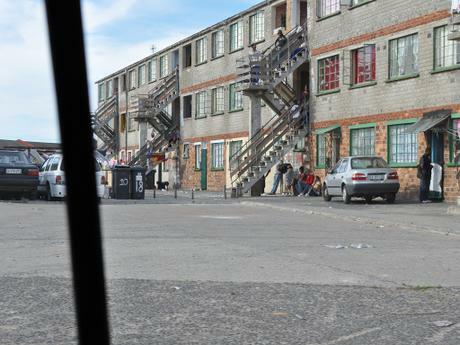 New World Foundation (NWF) was founded in 1980 on the Cape Flats Township of Lavender Hill during Apartheid. 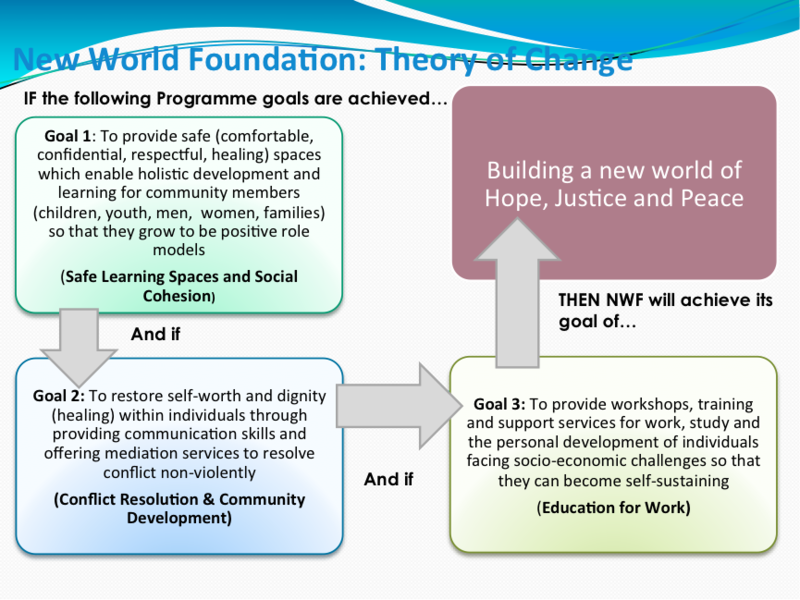 Through mobilisation and training of the community members and networking with community structures and partner organisation, NWF facilitates change that aims to build a new world of hope justice and peace. Specific intervention- educational and recreational programmes, personal development and leadership, awareness raising, public dialogues and campaigns, mediation and conflict resolution , advice office and counselling especially for women (Women Centre) and increasing employability through skills development, Lobbying and Advocacy work at Local and Provincial government level. 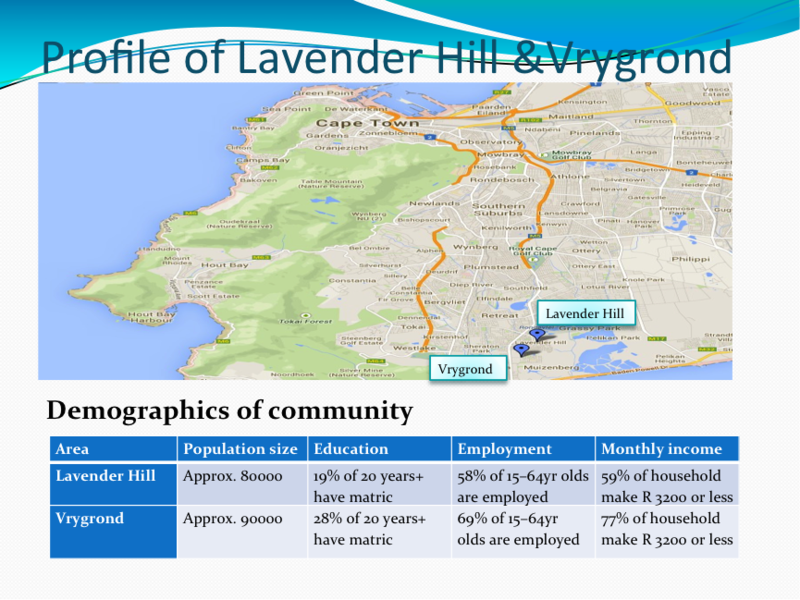 The data of the census shows that 3.5% of the population never received any education, 13% went to Primary School but did not finish the Primary School Education, 8% attended Primary School and finished it, 51% went to a High School but did not finish High School Education, 21.5% finished the High School (Matric) and 3% of the population of Lavender Hill/Vrygrond have some form of Tertiary Education (College, University, other Institutions). 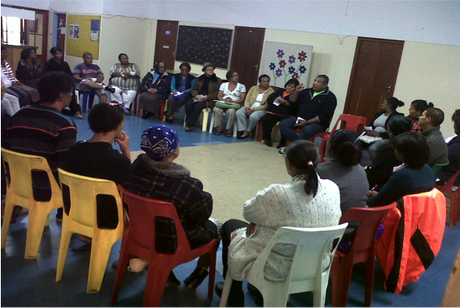 A frequency of 100+ applicants reported as GBV hotspot communities – Lavender Hill was 163 and Vrygrond was 142. Unemployment rate amongst all victims 50% and all abusers 49%. NWF has worked in this community for 35years. A key focus has always been the support of women projects and uplifting women. 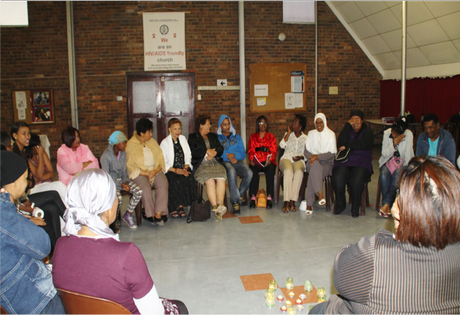 NWF is the only organisation to have produced documentation/stories of GBV in the community with stories from both men, women and girls. To assist with awareness and education campaigns. 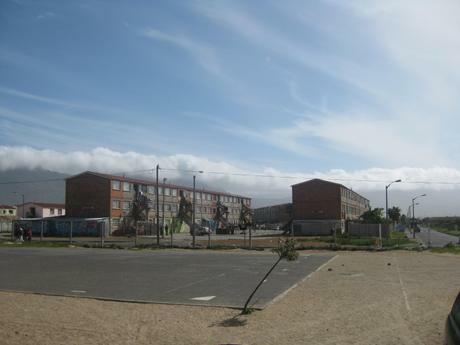 The court and street committees and youth leaders will be able to anchor the work into the community. To help sustain projects and information dissemination of their research to inform our project. Why should you as a donor support NWF? NWF has extensive experience of over 33 years in the community. 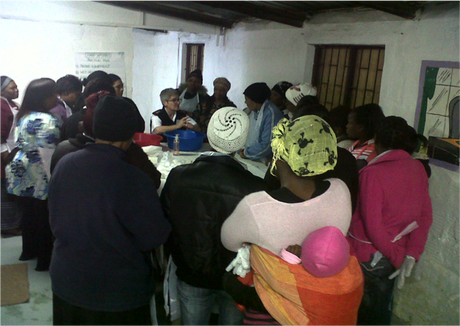 NWF has a long history of doing women and gender empowerment through upliftment and education. Reputable, good track record and longstanding relationships regarding finances to funders. 94% of parents who have children in the Aftercare programme recommended it to other parents. 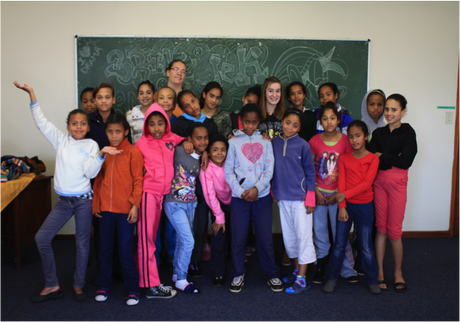 79% of parents see a positive change in behaviour since their child attended NWF Educare. 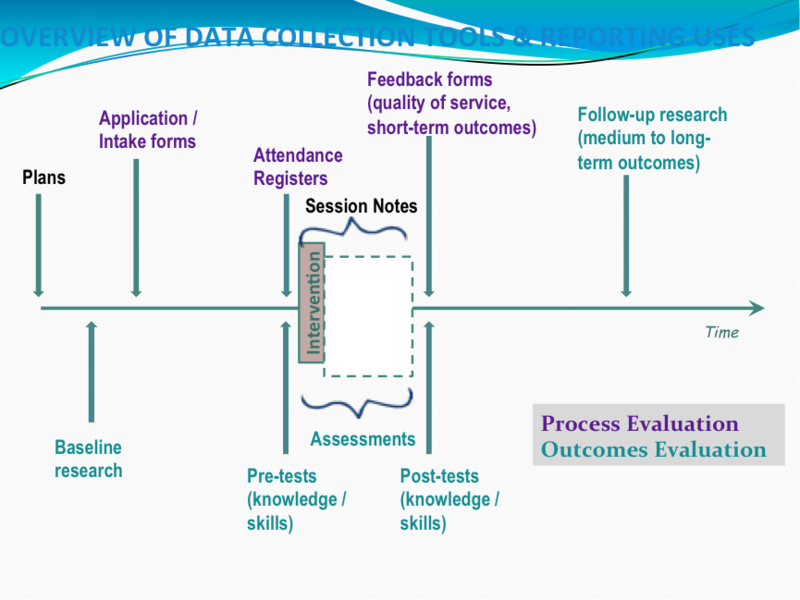 100% of the participants of the Home Based Care Training rating the training as very good. “The march was a great idea from the people of New World Foundation. We as a community needs to stick together against all the crime”.